MarinaRoyal Palace Restaurant – elegant and stylish, with an open-air terrace, created to meet all your requirements and expectations! Give a positive start to your summer holiday. 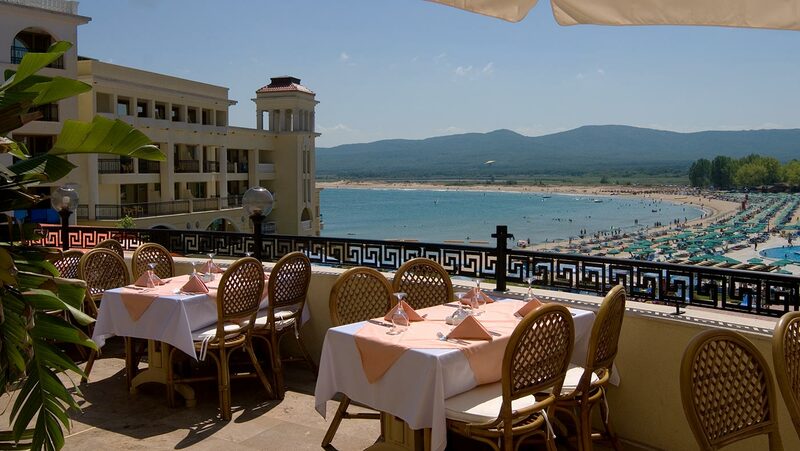 Discover the enchanting view to the sea bay and the golden sandy beach while you have your breakfast or enjoy the exquisite dinner. 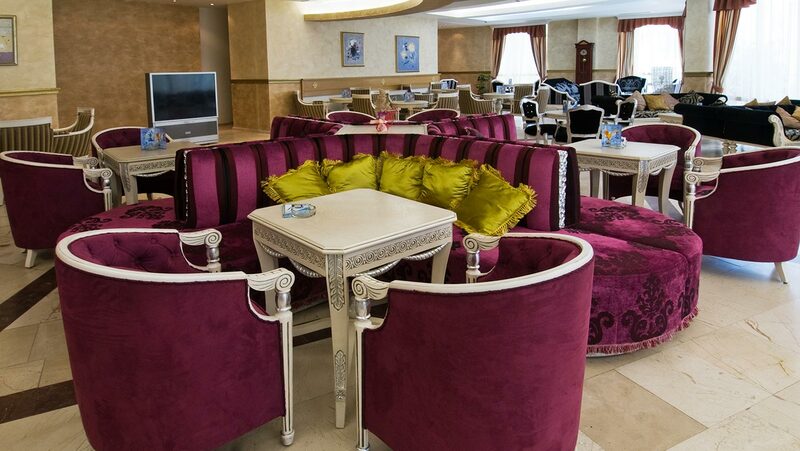 The interior is in harmonious dialogue between the aristocratic atmosphere and the modern spirit. The royal colors remind of the refined and discreet world of people who are successful in every age. 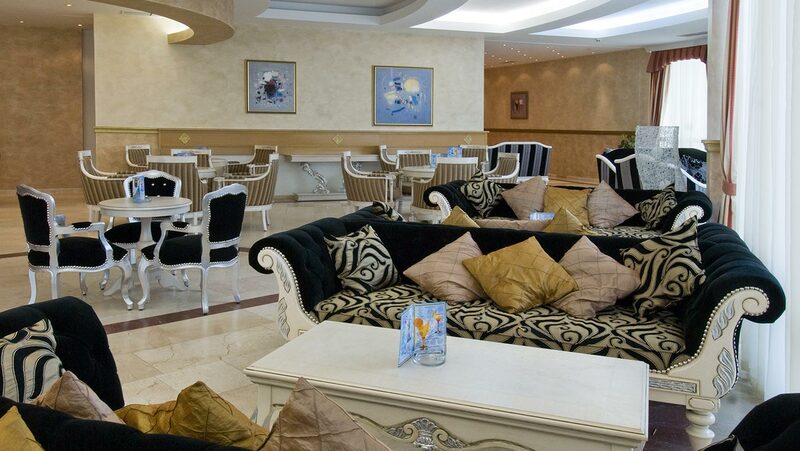 Excellent service, rich selection of refined food and beverage under the accompaniment of soft music promise you bright emotions and unforgettable memories. 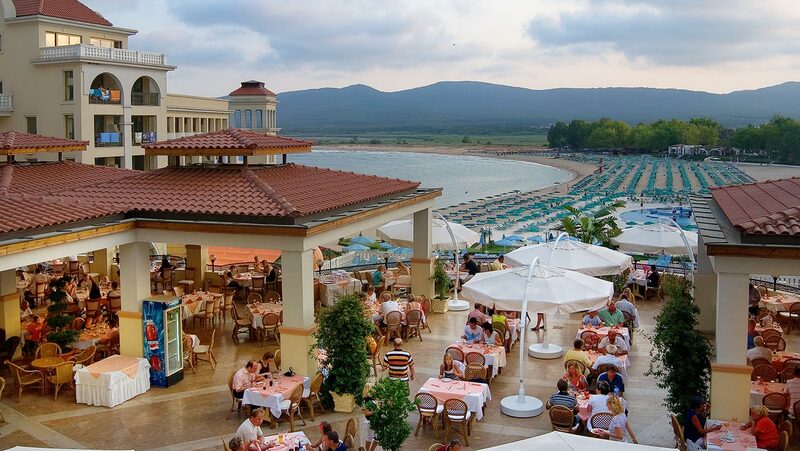 The restaurant has 280 seats in its cool hall and 280 seats in the sunny terrace with a breathtaking view to the sea bay. For you convenience, you can use the bar to the restaurant always when you have your meals. comfortable and discreet, it is the perfect place for your rest in an exclusive atmosphere and unparalleled conveniences. It has its personal unique style, which highlights the originality of the hotel architecture. With its wide variety of alcoholic beverages, soft and hot drinks and cocktails, it is a marvelous start and end of every day. Everything here is carefully matched within an amazing atmosphere, presupposing your full relax. The lobby bar gives you a unique chance to enjoy the discreet service, first-class drinks and charming aroma of freshly squeezed citruses. The music and refined interior only add to its obvious aristocratic perfection. The guests may use its 137 seats in the hall and 33 seats in the terrace. From 04.00 PM to 05.00 PM we will charm you with unbelievable sweets and cracks for you afternoon coffee. 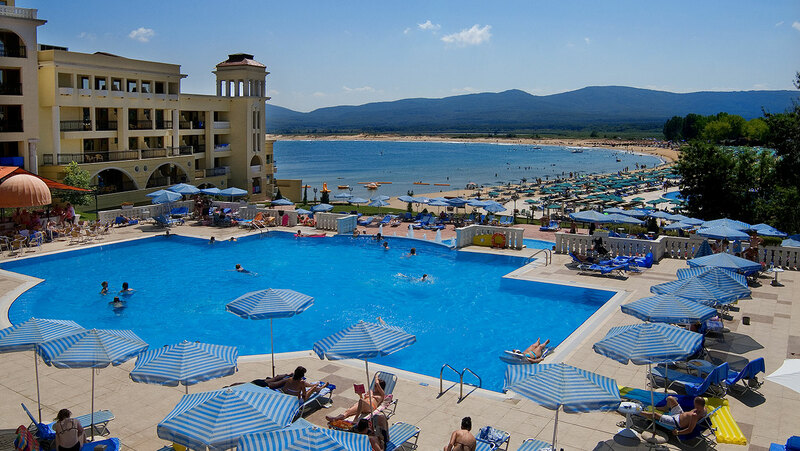 is a real oasis, combining the beautiful view to the sea bay, the soft fragrance of the breeze and the warm sunrays. 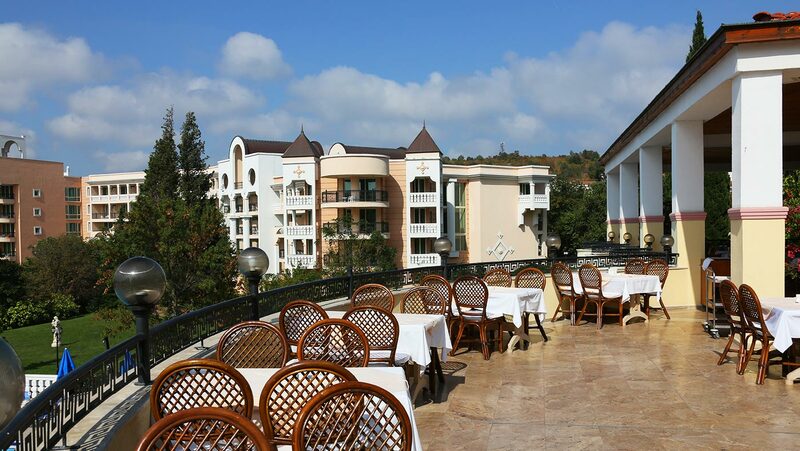 The magnificent combination of exceptional menu, offering a variety of refreshing cocktails, alcohol, soft and hot drinks around the outdoor swimming pool, will make your day much more pleasant. From 11.30 AM to 06.00 PM we will offer you various sandwiches prepared right in front of you. You may use one of the 50 seats on the stools around the bar or the comfortable low tables around the pool. 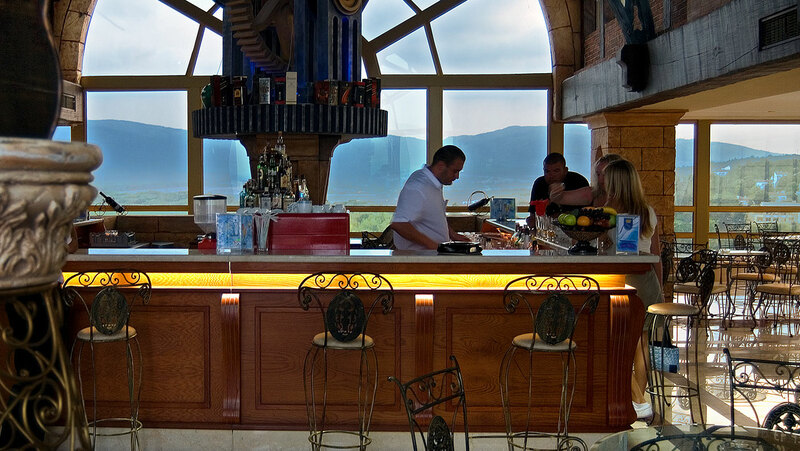 is a panorama bar with a terrace on the upper floor of the hotel. 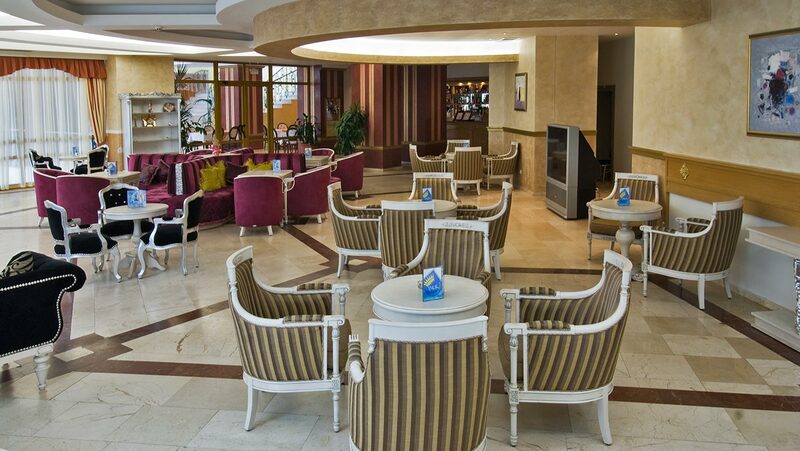 It has 100 seats and impresses both for its panoramic view to the whole complex and the sea and for its stylish atmosphere, in which you can provide pleasure to your senses and enjoy our well-balanced selection of malt whiskey, mature cognac and quality drinks and various soft drinks. This is the right place for the most natural progress of your night. The available variety of drinks is not included in our All inclusive offer.